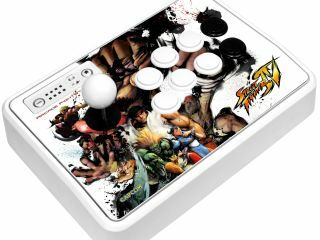 Bookmaker Paddy Power has opened a book on video gaming – offering prices on the outcome of a Super Street Fighter IV contest. Paddy Power – known as an innovative bookies – is sponsoring a bout between Ryan Hart and Femi Adeboye on 29 April. People who fancy a flutter can place their bets at www.paddypower.com/bet/novelty-betting. More than anything, Paddy Power's decision shows the strides that videogaming has taken towards being recognised as a sports-like contest. Although professional gaming leagues in Europe have not enjoyed mainstream success as yet, Korean gamers are put on a pedestal alongside sports stars, and the appreciation of the skills involved is growing. "Videogames are as much a legitimate sport as any other," says Paddy Power, communications director, Paddy Power. "We wanted to offer sports fans and games players the ultimate thrill by offering the chance to win big on the outcome of a Super Street Fighter IV competition. If it proves popular, we'll open further books on other videogame competitions." Of course, the category alone of 'novelty betting' that the bout suggests that this is far from a regular move for bookmakers, but in the longer term the potential is clear. "Recognising the game as a legitimate spectator event, as fiercely contested as any sanctioned boxing match, is a huge step for videogames as a whole," adds Capcom's Leo Tan. "Hopefully this is the start of a new avenue for bookmakers, a new way for games players to enjoy their games and, potentially, a new way for the elite players to get the recognition they deserve."